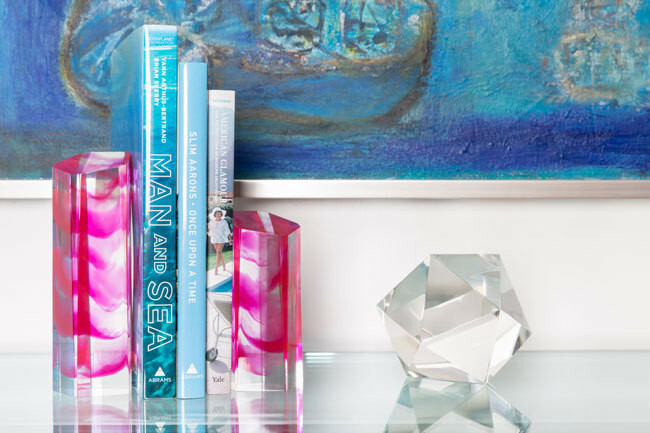 We're crushing on these covetable Lucite objets with a multigenerational twist. Pieces from the new Sawyer Collection, available at Nest. When Sawyer was two, we would sit at a little table and spend hours making Play-Doh cookies, cupcakes, and treats," recalls Kim Bannister of her now 14-year-old daughter. "We would then have tea parties with her stuffed loveys. She was very particular on how the table was set and who sat where." 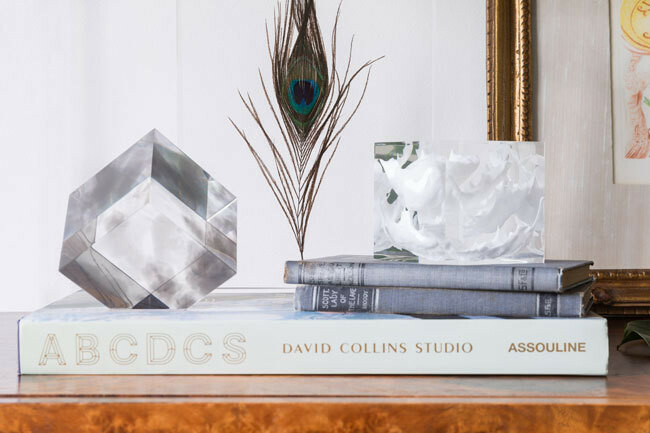 Such attention to detail has clearly paid off; a dozen years later, the duo are now business partners in the recently launched Sawyer Collection, a sophisticated yet playful array of Lucite bookends and tabletop decor. 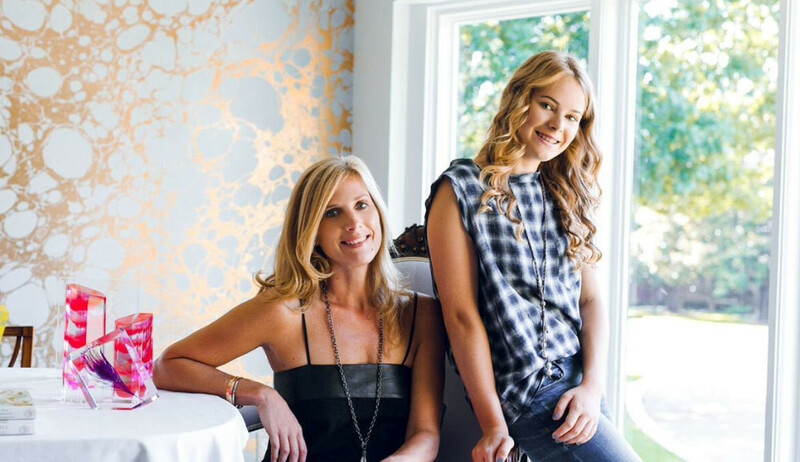 Kim (at left) and Sawyer Bannister in their Dallas dining room. 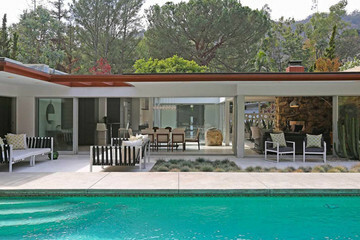 Ranging from chic stacking cubes embedded with shells and semiprecious stones to architectural pillars infused with swirls of color, the hand-poured pieces draw on everything from vintage '60s and '70s decor to Slim Aarons images and Kim's love for California and Jamaica. "My inspiration comes from traveling—I take a lot of photos on our trips," says Sawyer. 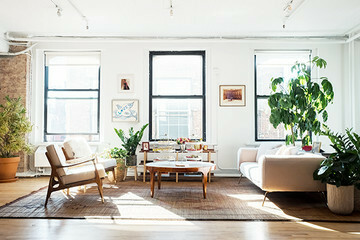 Adds Kim, "We dreamed of capturing moments in time and filling a need for versatile, high-quality home-decor statements." Like all good partners, the two play to each other's strengths. "Sawyer tends to throw caution to the wind, yet is grounded and business-savvy. 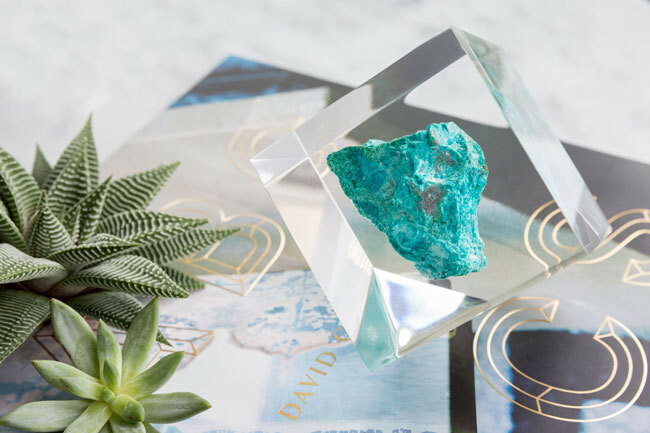 She’s always had a keen eye and now is the one who lays out the minerals and unique objects for our embedment pieces," says Kim. With an eye for an eclectic mix of color, styles, and periods, as well as experience in the art and interiors worlds, Kim balances refined tastes with an appreciation for the unconventional. The collection (available at Nest in Dallas) starts at $165. 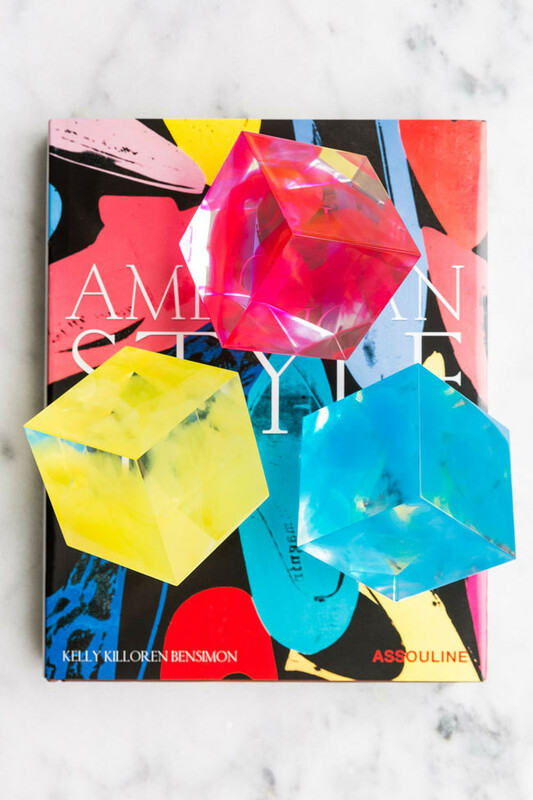 "Stack them, tilt them, set them on top of fabulous coffee-table books, or use them as bookends," suggests Kim. 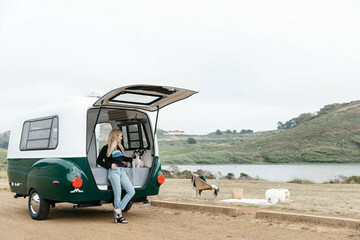 And although the products are quite a bit more precocious than the average teen project, in other ways Sawyer is no different from the next 14-year-old kicking back for the summer in her backyard. "We swim, watch movies, and laugh—a lot!" she says. We can't wait to see what she does with her college thesis.